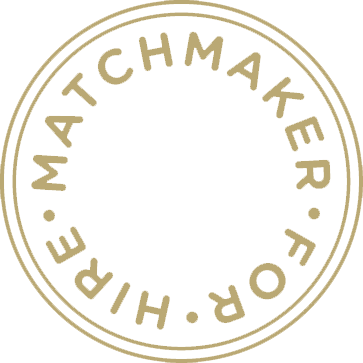 Established in 2002, and founded by Jane Carstens in Vancouver BC, today Matchmaker for Hire is a renowned, privately owned, boutique premium matchmaking firm in Western Canada. Dedicated to helping successful, affluent, educated singles, we provide personalized insight into the very private world of finding a partner. Headquartered in Vancouver, BC we service clients in Vancouver, Calgary, Victoria, and selective men and women across Canada and the USA. Our passion for matchmaking and dedication to our clientele is reflected in our high success rate ( approximately 80% of our first dates result in a 2nd date) and we have hundreds of long term relationships and marriages to our credit…..
Our Dating and Relationship expertise comes from the last 15 years in-the-trenches experience of introducing couples and representing thousands of singles. We have worked with the casting directors on the reality show Bachelor Canada, and appearances and a public VIP Hookup on The Real Housewives of Vancouver on Slice TV. Along with local and national appearances on Global TV, CITY TV, CTV, Joy TV, Zoomer Magazine, Elle Canada Magazine, Modern Dog. Personal appearances on the HGTV Main Stage for both Vancouver & Calgary Home and Design Shows, and Zoomer Media mainstage Zoomer Show in Vancouver and are a regular columnist for, Dear Jane, Dating advice column with Niche Magazine, A for Lifestyle Blogspot Seattle based Blog, and contributor to Populist Online Media, Vancouver. Matchmaker for Hire works exclusively with successful, well-educated singles and we pride ourselves on meeting each and every member in person in their homes. Our vetting process is significant as we get to know more about our clients, their goals, and what they hope to find in their next relationship. We are also a very small team; our clients are not handed off to junior staff or assistants once we decide to work together. Our approach to matchmaking is team-based, and remains so for the duration of our relationship. Despite getting significant media coverage, we simply do our jobs well, and most of our clients actually come to us as referrals, which we love! 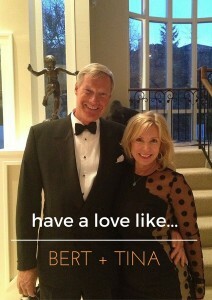 Our clients also appreciate our discreet approach to matchmaking, and value the importance we place on their privacy. Client confidentiality is a core value at Matchmaker for Hire and we take the unusual step of not maintaining a cloud-hosted database, definitely a source of comfort for most. Matchmaker for Hire’s matchmaking process is done client-to-client. We represent both men and women as clients. We find that the successful, well-educated singles appreciate and value that both men and women are equally committed to this process, and also financially invested; when both parties approach an introduction with equal gravity, they tend to have greater respect for each other, and are more open to the possibilities that can result.